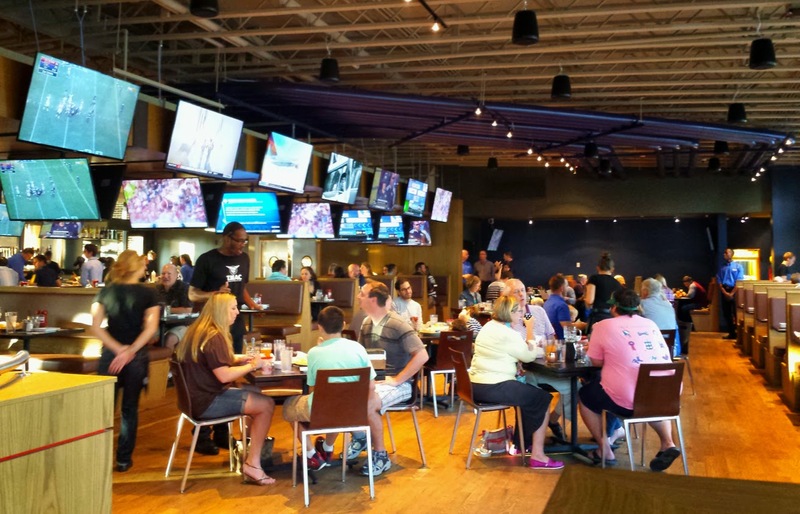 Cary, North Carolina, is home to Greater Raleigh’s first T.MAC restaurant. 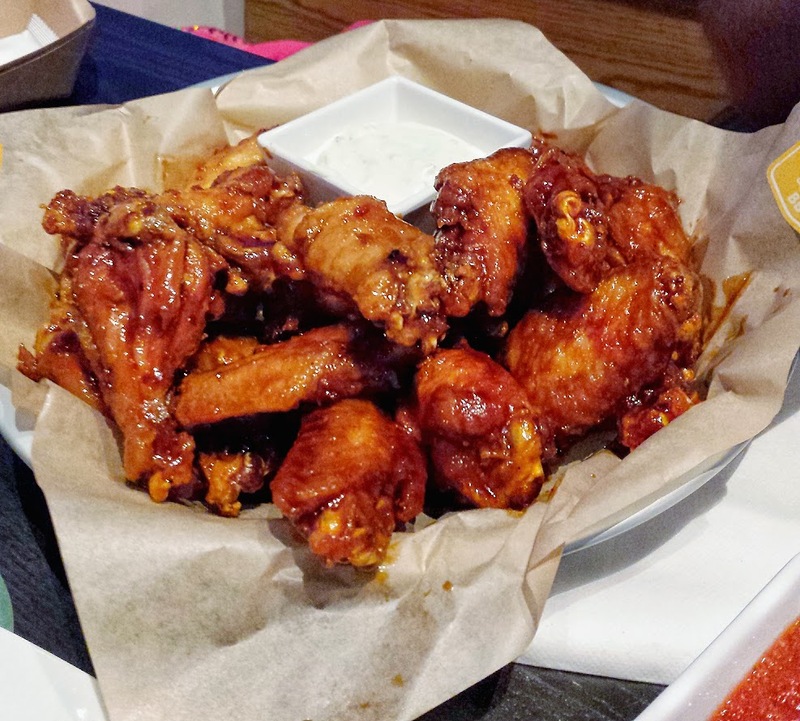 The popular Atlanta-founded restaurant, famous for its Buffalo-style wings and extensive craft beer selection, opened for business in Cary’s Waverly Place in Oct. The craft beer selection at T.MAC is massive to say the least. 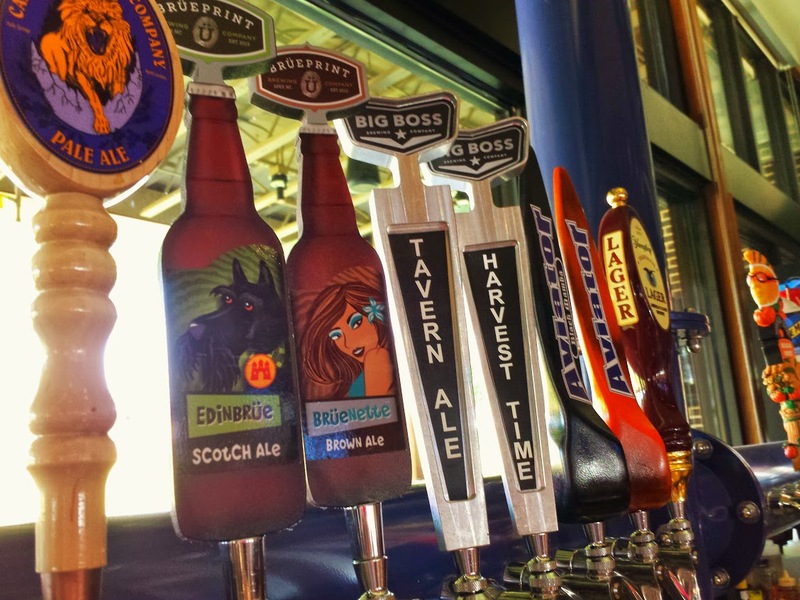 The restaurant has 100 beers on tap, with a huge selection of Greater Raleigh brews. The entire back wall is lined with beer taps. I also give the restaurant praise for its organization of its beer menu. 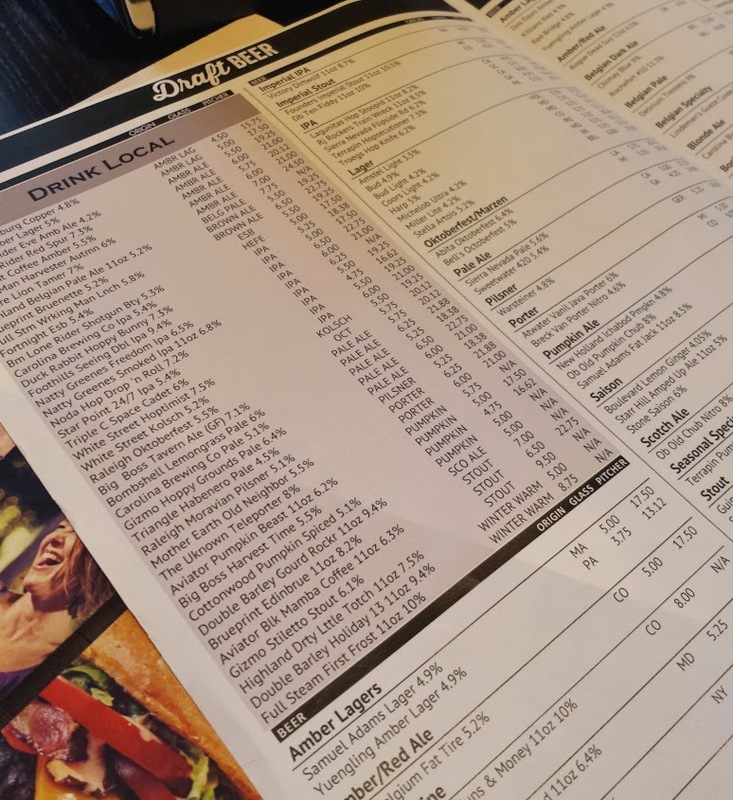 It’s easy to read, and you can easily find N.C. brews at one glance. 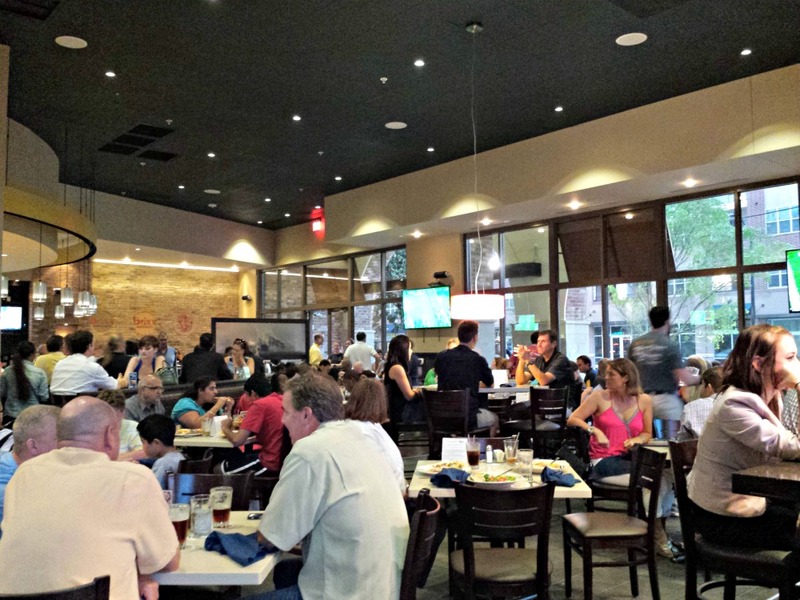 T.MAC is essentially a family-friendly, modern-day sports bar. There are 80 TVs in the place, and no matter where you sit, you have a good view of the telly. The restaurant has a prestigious reputation for its authentic buffalo wings and homemade sauces, such as hickory honey BBQ and fiery chili citrus. Chefs make nine sauces in house, and I even had the hickory honey BBQ sauce on a burger with bacon, which was outstanding. T.MAC also serves roasted wings and boneless wings for the calorie-conscious and the lazy eaters like me. With boneless wings there is no working hard for your food, while roasted wings have 100 fewer calories per wing than their original culinary counterparts. T.MAC prides itself on fresh and natural ingredients, and serves only hormone-free chicken and beef. 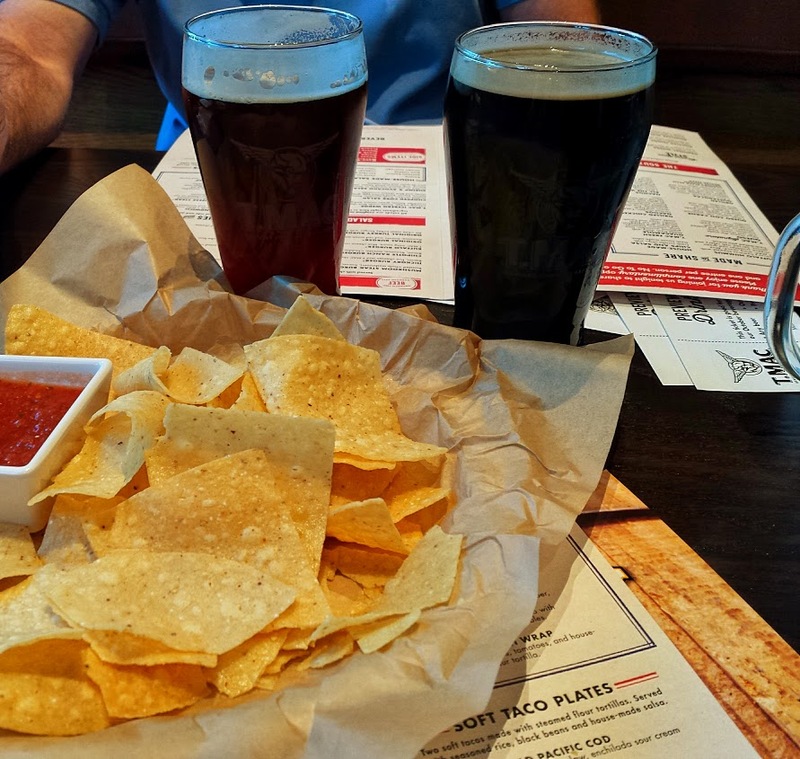 I attended a media preview lunch and sampled a variety of items, and also dined with my family another night, when I devoured two helpings of chips and salsa. The chips at T.MAC are certainly addicting. Desserts are simple at T.MAC, but decadent with the caramel apple cake and S’mores brownie. Young diners have a choice of several items under $4.95 that include a juice box or other beverage and Oreo cookies. Another sparkling twist is flavored Dasani water, available in eight flavors. 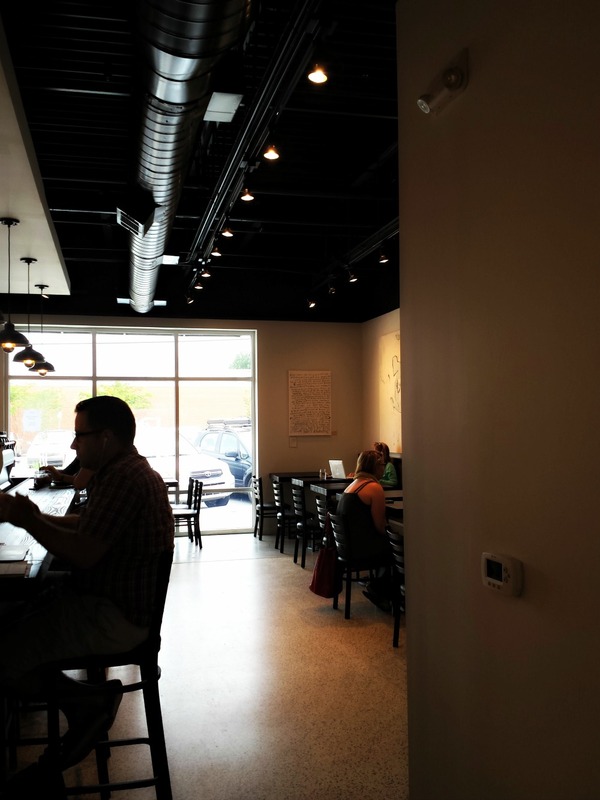 T.MAC is open daily, and it also offers outdoor seating that may be a little more quiet for conversation. Located in Waverly Place at 309 Colonades Way in Cary. 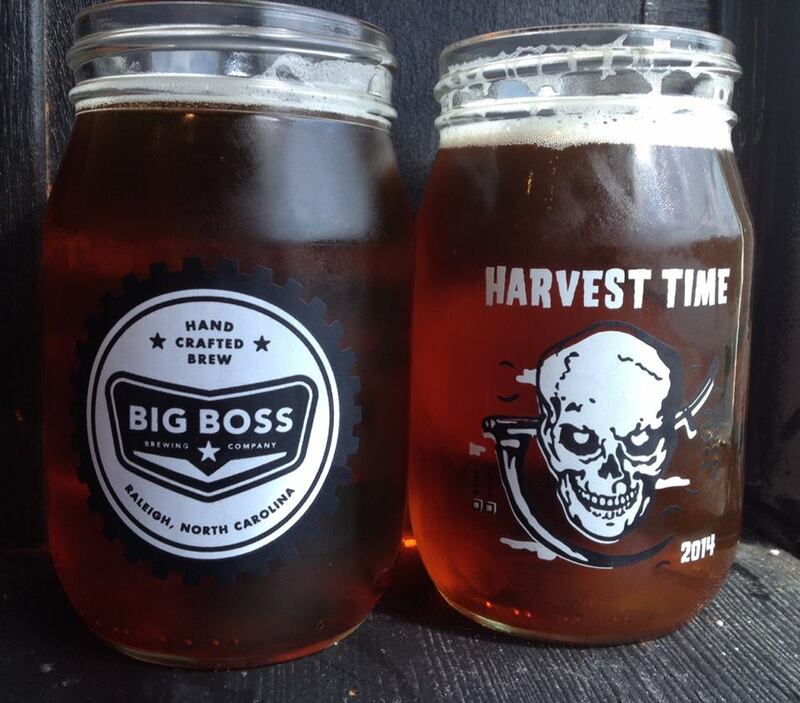 Big Boss Brewing Company‘s Harvest Time Pumpkin Ale: “Goes great with: zombie rituals, vampire hunting and walks in a graveyard… after midnight.” A subtly-spiced fall ale brewed with real pumpkin and with the brewery’s own proprietary blend of spices. Available through Oct. in bottles and draft. ABV: 4.5 percent/IBU: 16. 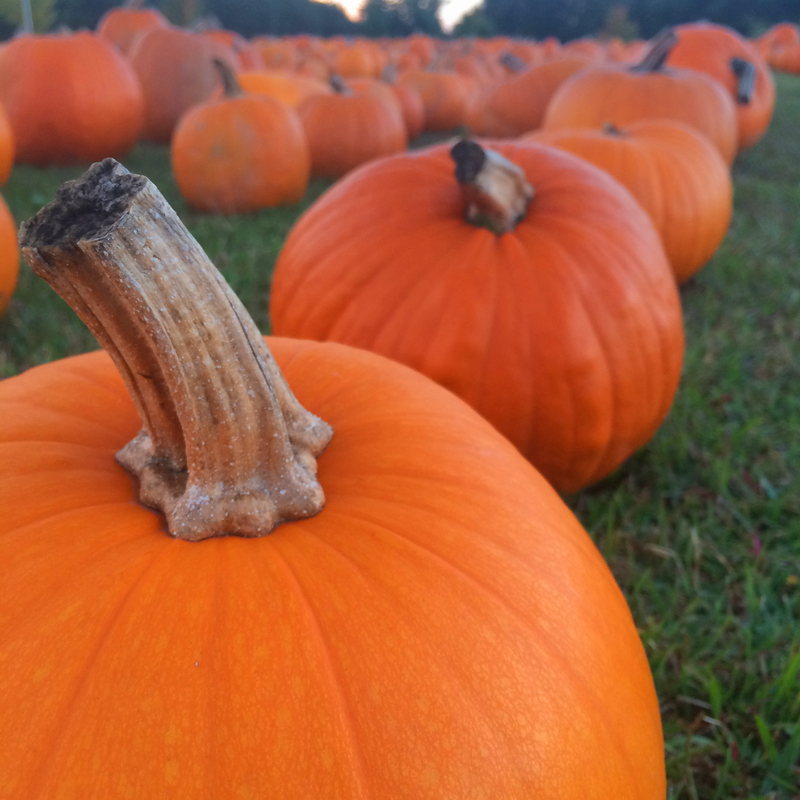 Crank Arm Brewing‘s Pumptrack Pumpkin Porter: Made with North Carolina-grown pumpkins, Crank Arm Brewing offers this tasty porter coming in at 21 IBU. Enjoy a pint at the brewery in downtown Raleigh while you sit on the patio and take in the cool, fall air. ABV: 5.2 percent. Pizza and beer. What’s not to love? But I’m not talking just any pizza and beer. I’m taking it up a notch with gourmet wood-fired pizzas loaded with fresh ingredients and in-house-made mozzarella cheese, served with craft beer from North Carolina breweries. 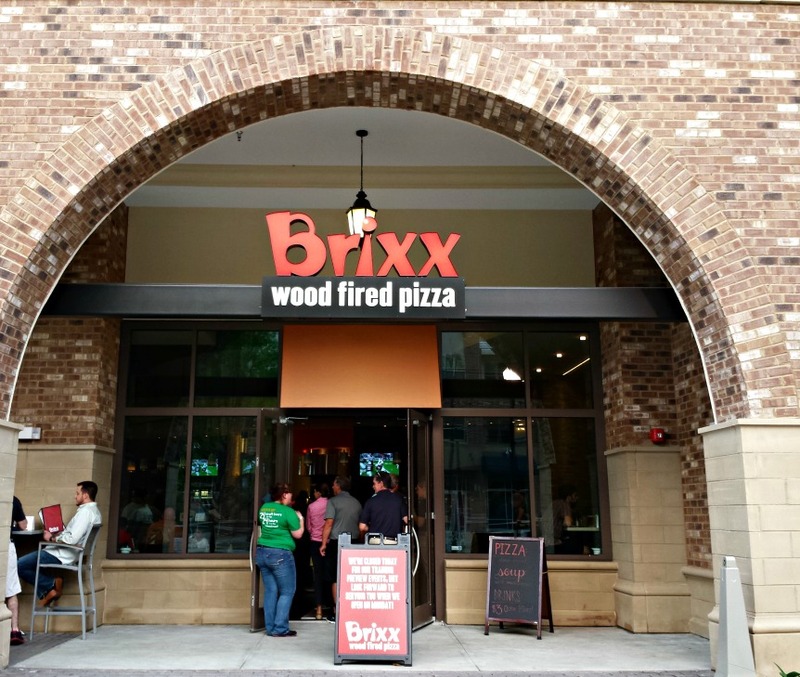 Brixx Wood Fired Pizza, has opened a second location this month in Raleigh at Cameron Village Shopping Center. 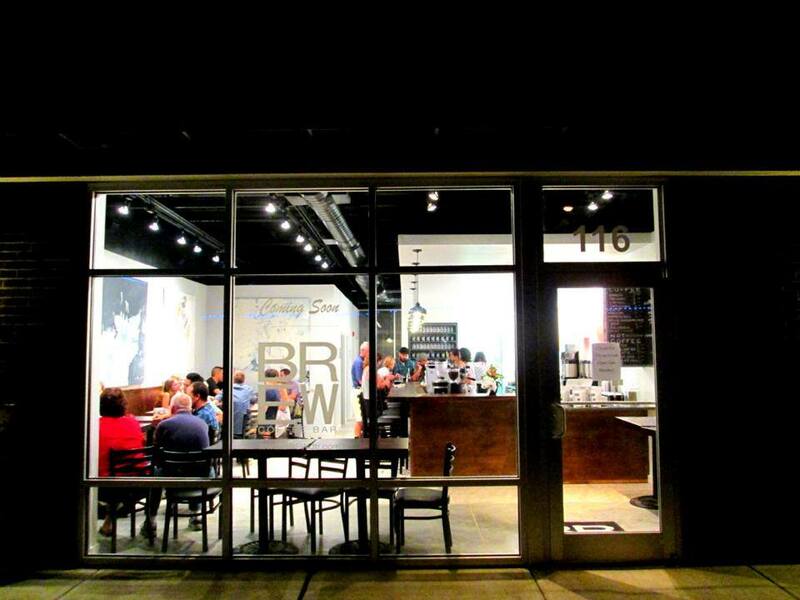 Brier Creek Commons Center in North Raleigh is home to the first Brixx Wood Fired Pizza location. 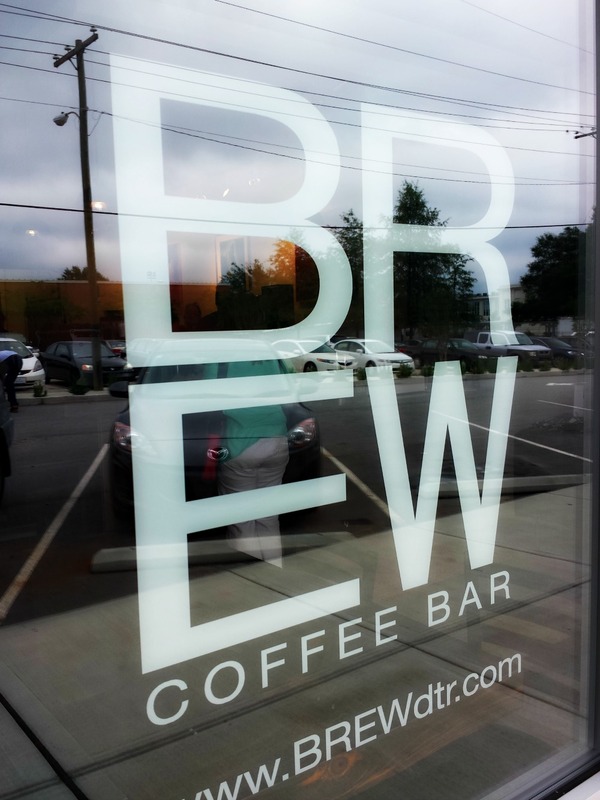 This family-friendly, casual eatery is a great addition to Cameron Village shopping center, which just happens to be like my second home, since it’s so close to downtown Raleigh. 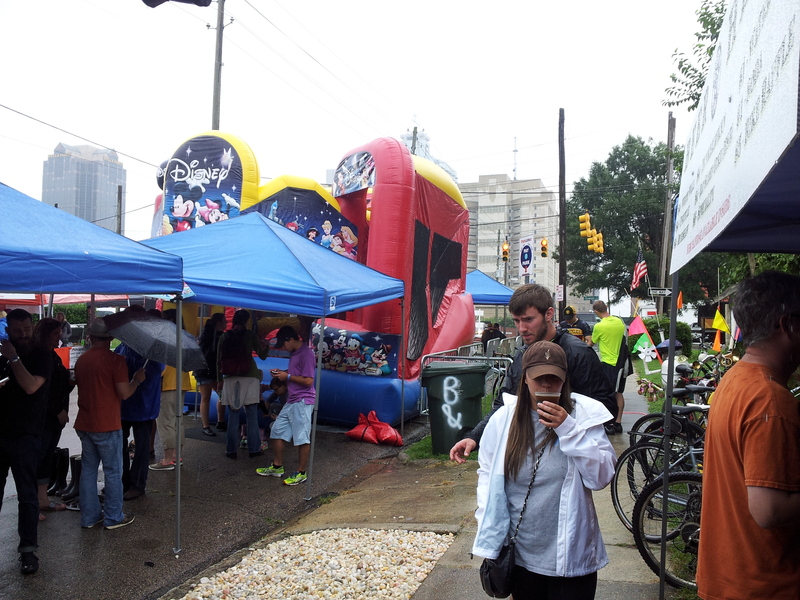 I’m probably at Cameron Village more than anywhere since my son goes to elementary school nearby. My family attended a pre-opening dinner to sample some of the cuisine. 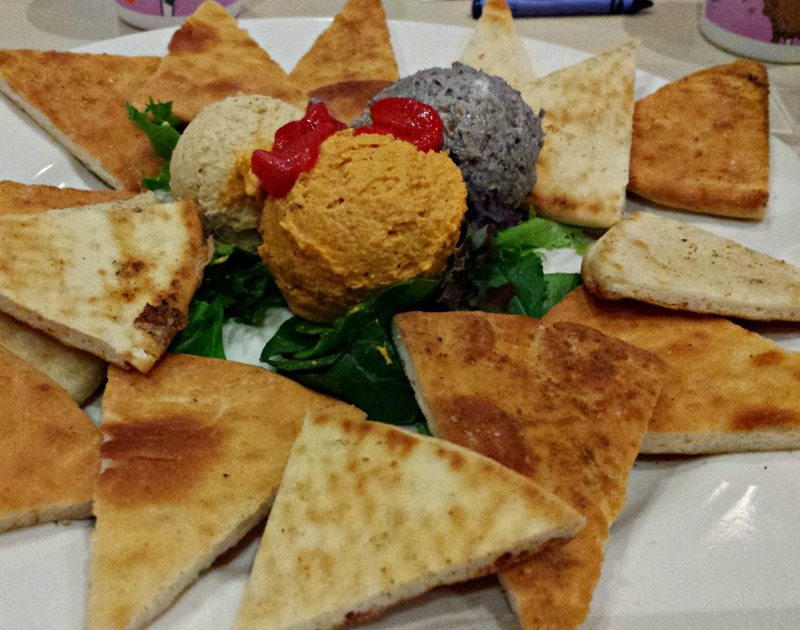 We started with the hummus trio with wood-fired pita chips. The trio comes with traditional, roasted red pepper and black bean hummus, served with wood-fired pita chips dusted with cumin. This was one of the best hummus appetizers I’ve had, and the black bean hummus with those wood-fired pita chips was a favorite. 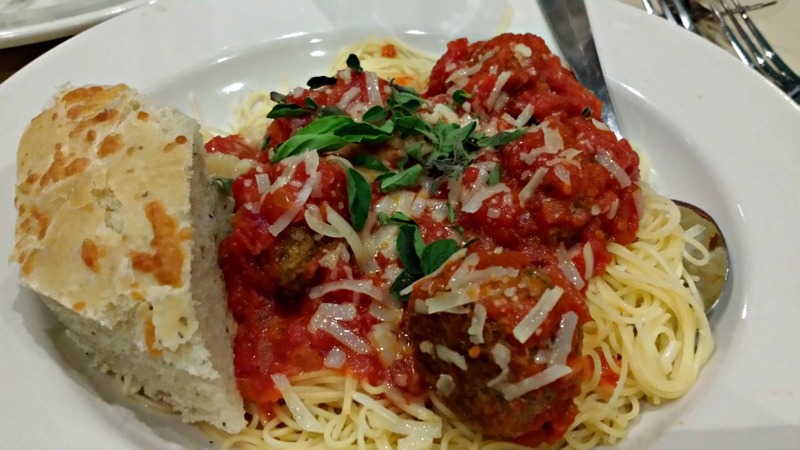 Brixx Wood Fired Pizza is known for its specialty pizzas, but I really love angel hair pasta with meatballs. Seriously, it was like that dish was custom-made for me because usually meatballs are served with spaghetti noodles rather than angel hair. It is a fabulous dish, and one that I would order again when I want my angel hair and meatball fix. Pizzas served at Brixx are 10 inches in size, so it’s perfect for one or for two people with lighter appetites to share. My husband chose the Chicken Florentine, which has wood-roasted chicken, crumbled bacon, roma tomatoes, fresh spinach and feta and mozzarella cheeses. 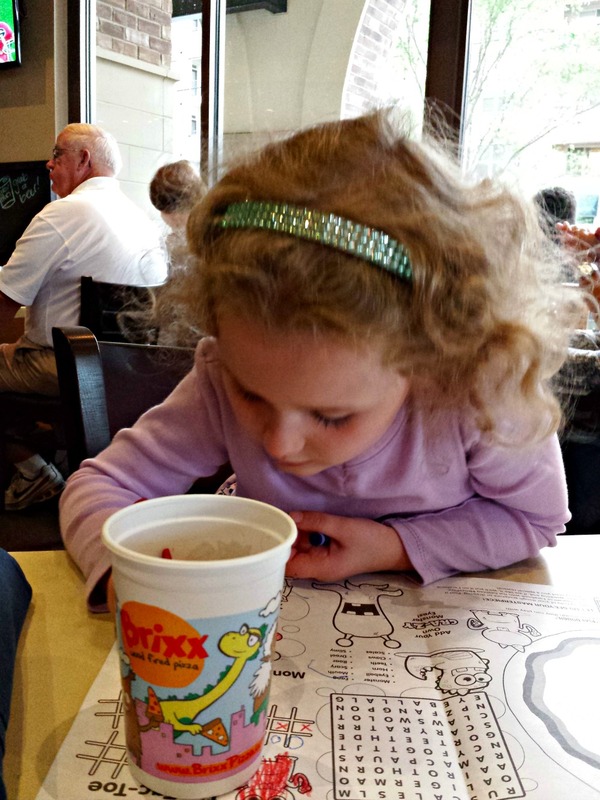 Kids are easily entertained with crayons and menus created just for them. The pizza size and price are just right, too. A kid’s meal costs less than $5, and includes a drink and either pizza or a pasta entrée. I think that is a good enough reason to go back for me. Need I say more? 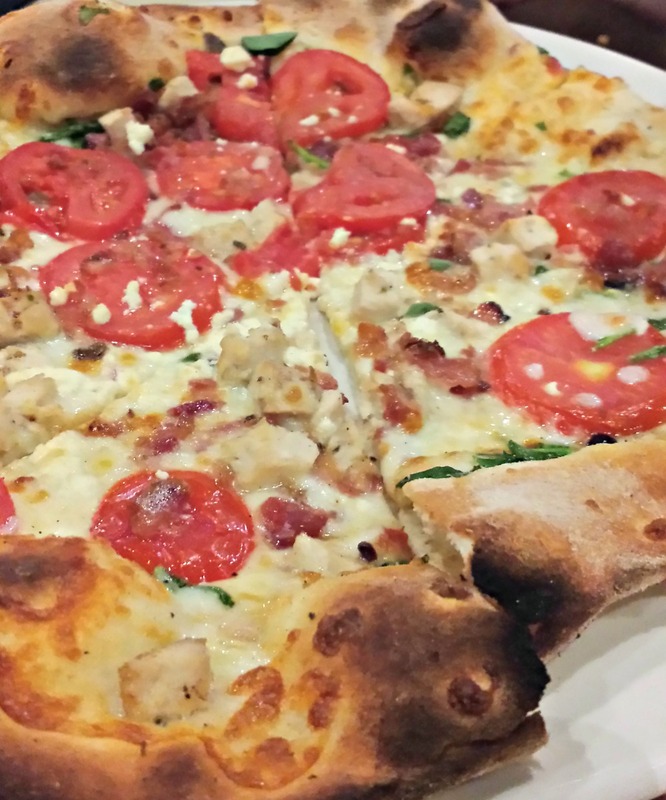 Brixx Wood Fired Pizza serves daily at two locations in Greater Raleigh. 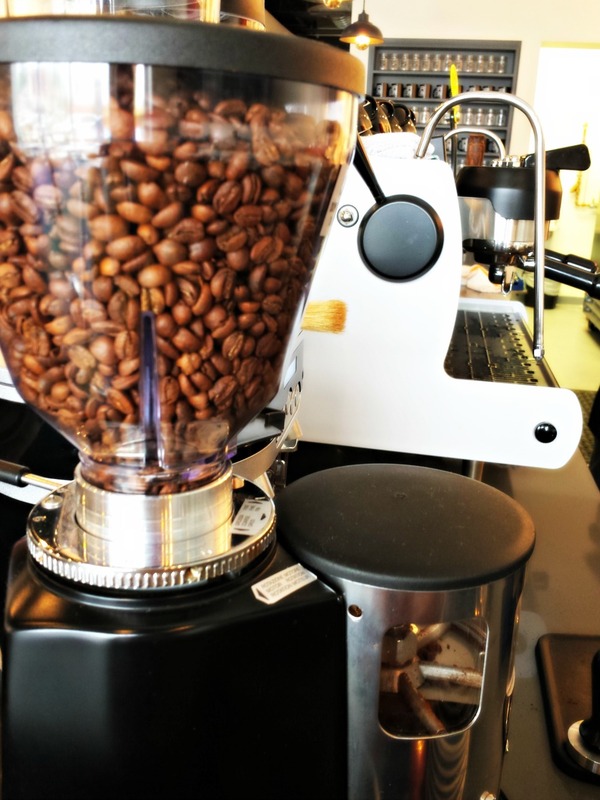 The new Cameron Village location is now open at 402 Oberlin Rd., Ste. 120. There is a parking deck underneath the restaurant that you access from Clark Ave.
Let’s face it, sometimes you just need a burger. 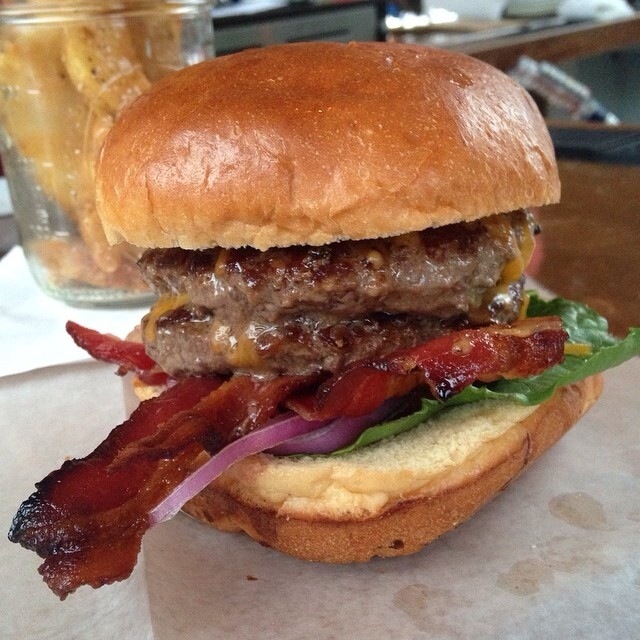 The Station on Person St. in Raleigh will certainly brighten up your Mondays with its $5 burger special. After enjoying a brew from Raleigh’s Lonerider Brewing Company at The Station’s outdoor bar, my burger arrived. The presentation was perfect; a burger served on a wooden cutting board along with a mason jar filled to the brim with potato wedges. If you’re looking for a great burger along with a fun atmosphere, definitely pay a visit to The Station. I’m a fan of the outdoor bar, especially during the summer months. Surviving the first year is a big accomplishment for small businesses, and breweries are no exception. 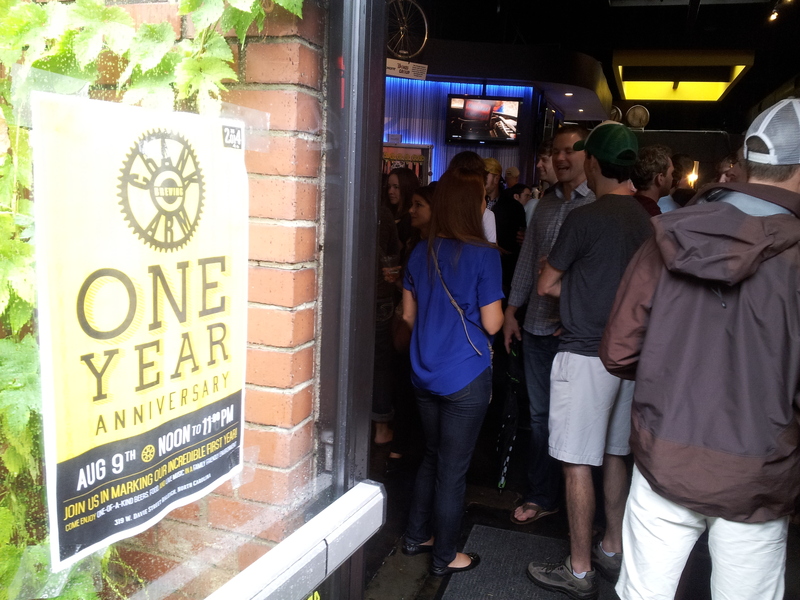 And Crank Arm Brewing went all out with its celebration on Aug. 9. 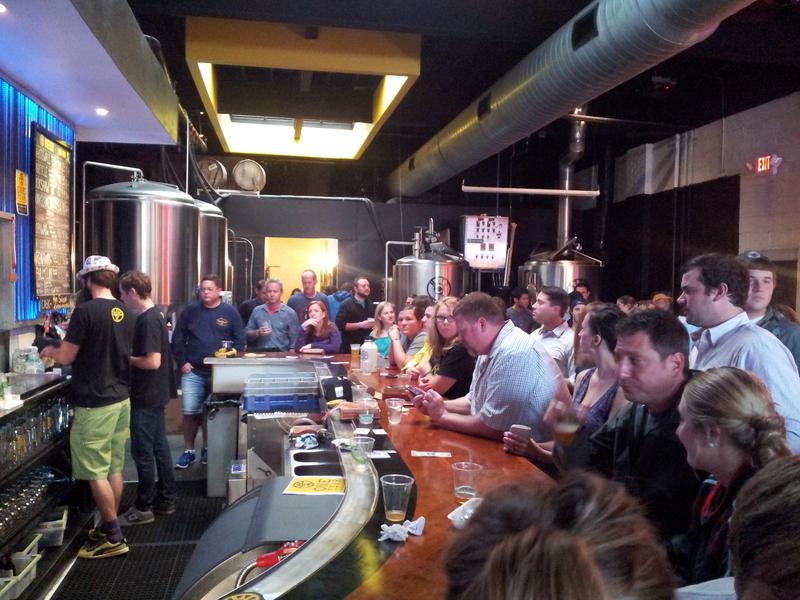 Hundreds of people attended to show their appreciation for one of Raleigh’s breweries. Yep. 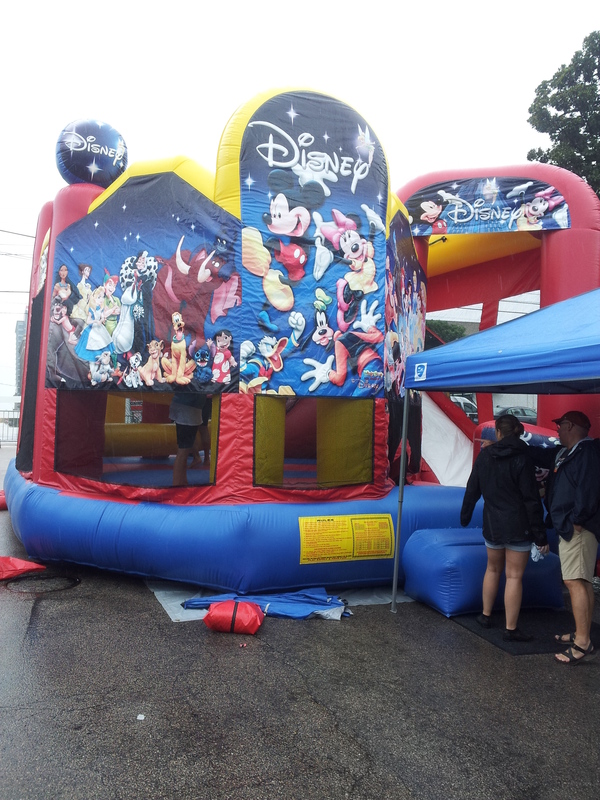 A Disney bouncy house. This family-friendly event was a hit. The Pit, Dump Pho King and Bulkogi Korean BBQ food trucks were on-site. Donatos Pizza, Brewmasters Bar and Grill and The Fiction Kitchen sat at tables to sell their wares. Crank Arm Brewing set up two satellite bars to ensure faster service. 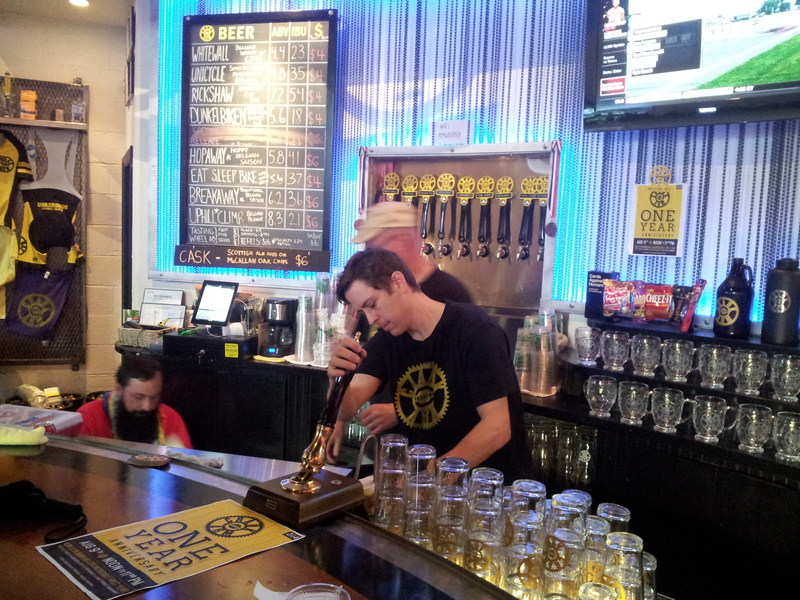 919 Beer, a local group of craft beer enthusiasts, made an appearance to promote its Beericana festival on Sept. 18. And live music reigned for ten hours. 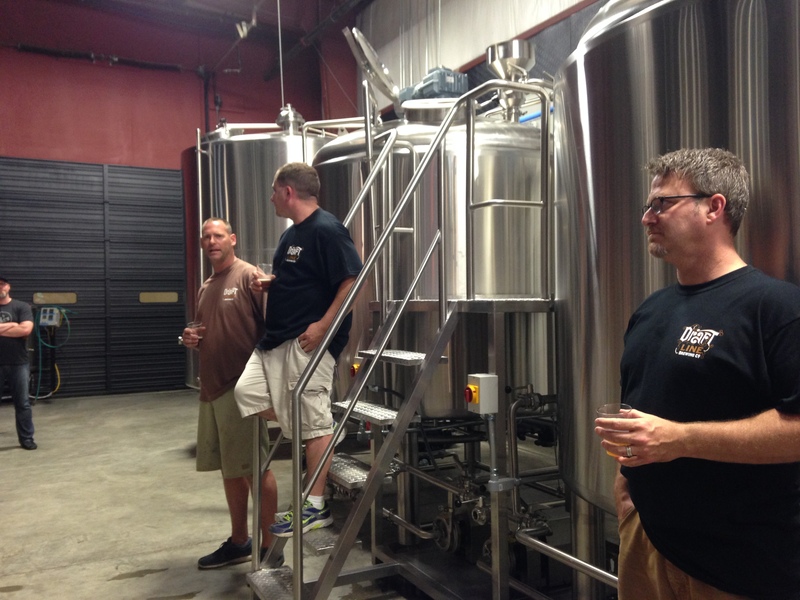 Crank Arm Brewing spared no expense in bringing together some of Raleigh’s greatest talent. 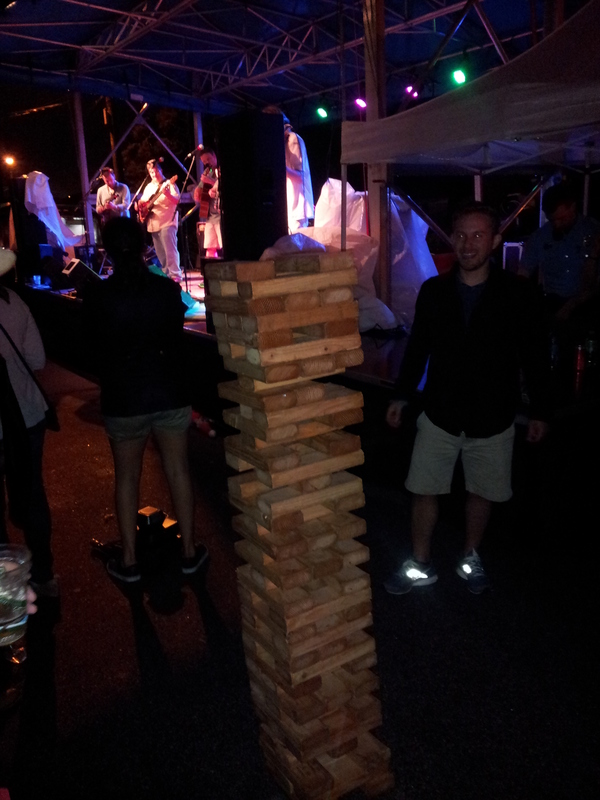 Six stellar local bands took the stage in a collaborative effort to incite attendees to get down and party. 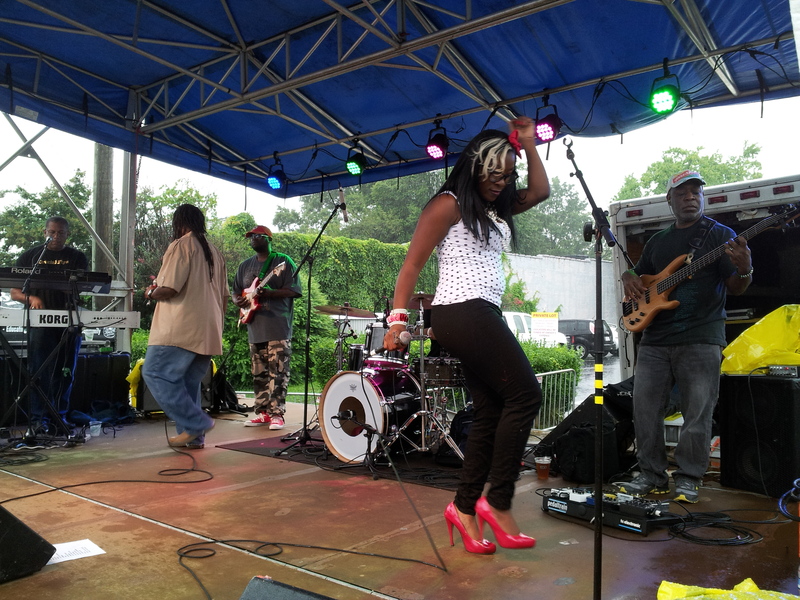 Raleigh-based Crucial Fiya kicked off the music barrage at 1pm with their special blend of reggae, rock and pop. Hot on their heels, the aptly named Trouble followed with some snarling Southern rock. Trouble features members of Donna the Buffalo and The Blue Rags. Batting third was Tonk, out of Raleigh, playing, of course, classic country honky-tonk. 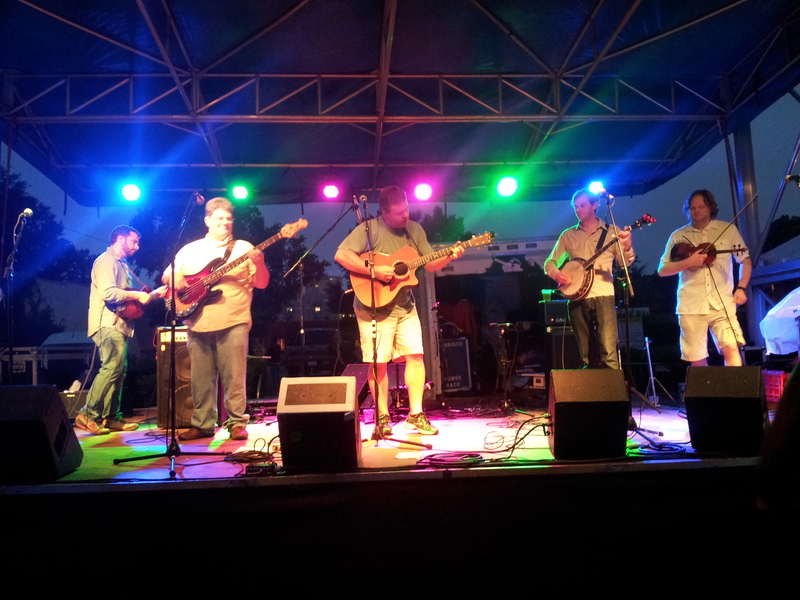 The Backsliders, fresh off their first record release in more than 15 years, played fourth. Featuring local legends Chip Robinson and Steve Howell, the band adds some rock ‘n’ roll sleaze to country tunes. Acoustic Manner followed. A spin-off of famed Americana band Barefoot Manner, this incarnation plays frenetic bluegrass tunes with a variety of stringed instruments. Blanko Basnet headlined. Blanko Basnet is the solo project of Joe Hall, who fronts the well-known indie rock band Hammer No More The Fingers. 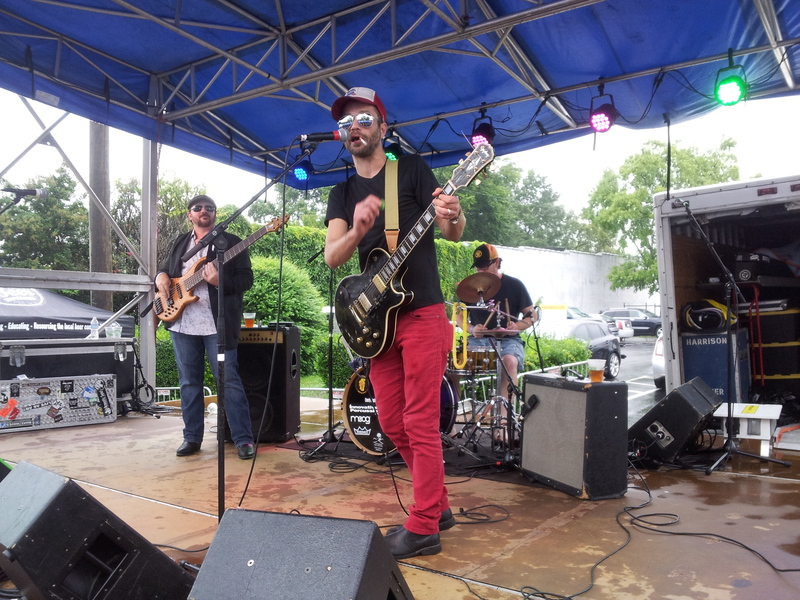 His signature intense vocals and explosive guitar riffs permeate his side project, a perfect close to the high-energy dance-a-thon put on by one of Raleigh’s favorite breweries. Hats off to Crank Arm Brewing for its contribution to Raleigh’s music lore. Crank Arm Brewing threw a party of such magnitude that it rivaled the excellence of their beer, no easy feat for brewmaster Mike Morris and his widely acclaimed brews. 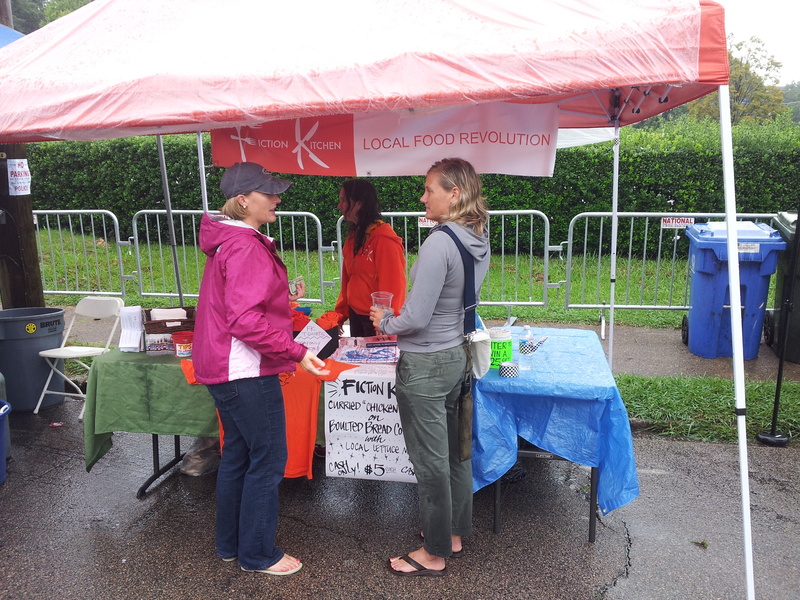 Keep an eye on Crank Arm Brewing for future live music events and brew events! It’s officially summertime in North Carolina! 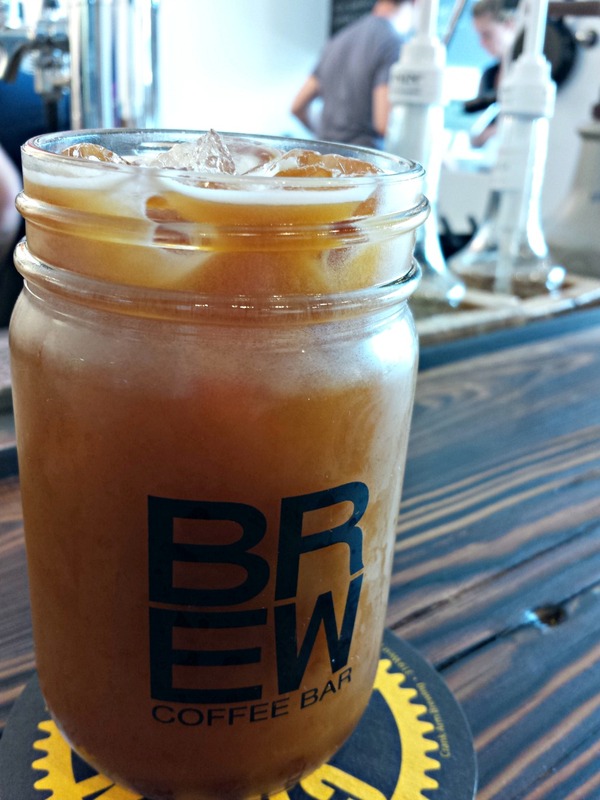 If you’re looking for the perfect spot to cool off with great food and beer, pay a visit to Boylan Bridge Brewpub. I highly suggest grabbing a pitcher or pint of beer while sitting on the outdoor patio. 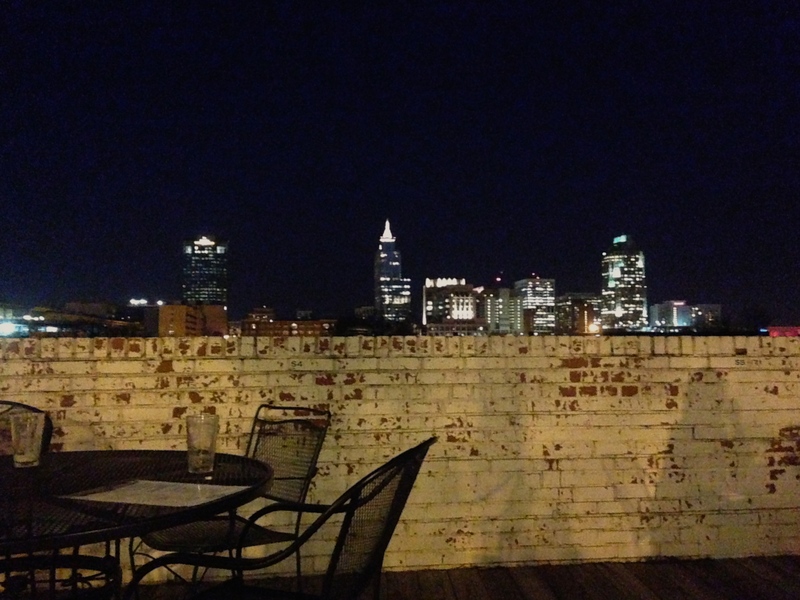 The patio overlooks a beautiful view of the downtown Raleigh skyline, which is an amazing sight to see, especially if you’re visiting Raleigh for the first time. I enjoying lounging on the patio during the evening because the skyline seems to sparkle at night. Boylan Bridge Brewpub has a variety of N.C. beers. From the Hopped Off the Tracks IPA to the Pullman Porter, there is a beer style for every palate. One of my favorite beers to enjoy during the warm summer months is the Endless Summer Ale. This light-colored English summer ale has bright hop flavors with a strong yeast presence reminiscent of wheat beers. 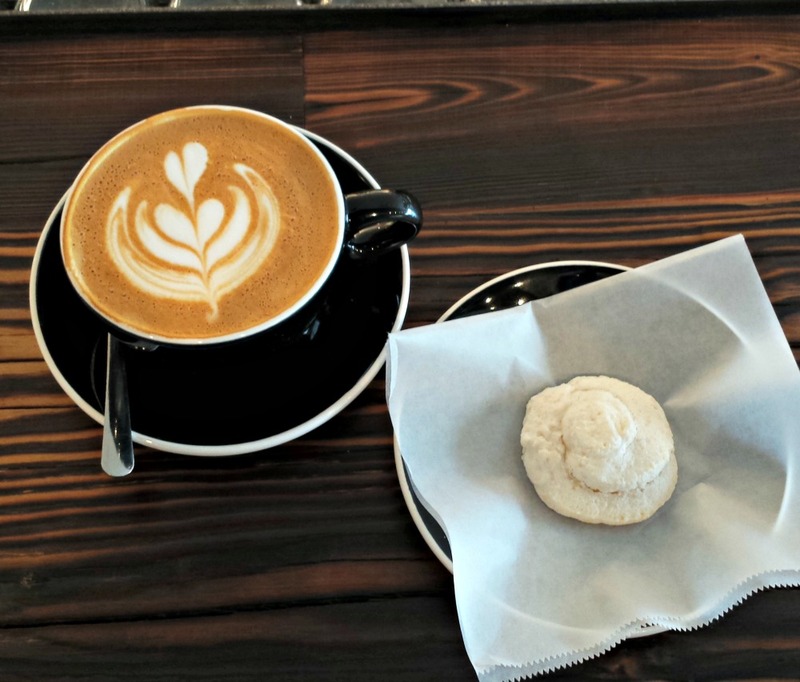 It’s perfect to sip on during a hot summer day in Raleigh. 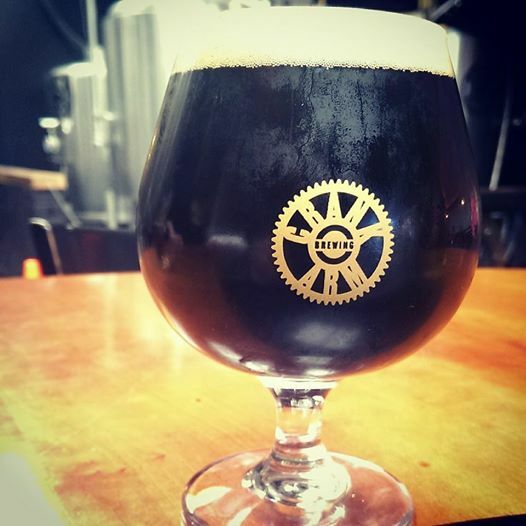 There’s something for every Foodie and craft N.C. beer lover at Boylan Bridge Brewpub. Make sure to check out this brewery located in the heart of Raleigh with beautiful views of the skyline. One of my favorite things about visiting Greater Raleigh breweries is learning more about the local food truck scene. 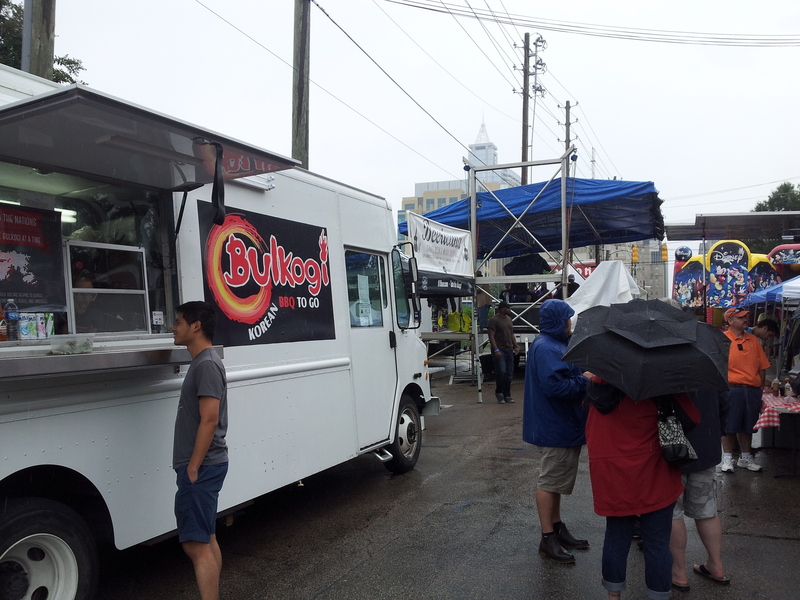 Most breweries have a unique food truck offering during the week and on weekends. I paid a visit to Big Boss Brewing Company last weekend to try one of its newest N.C. brews, paired alongside a taco from Sol Tacos. Big Boss Brewing Company recently released Tail Wind, an American IPA at 4.5-percent ABV. Tail Wind is a session beer, which means this beer will be easy to drink all summer long. Light in color with a perfect amount of hops, this beer was the perfect choice to pair with some delicious tacos. 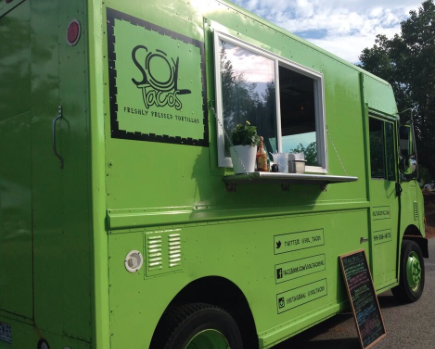 Sol Tacos is one of the newest food trucks to the Greater Raleigh scene. It’s hard to miss this lime green truck and Chef Andy Schuamann’s mohawk. 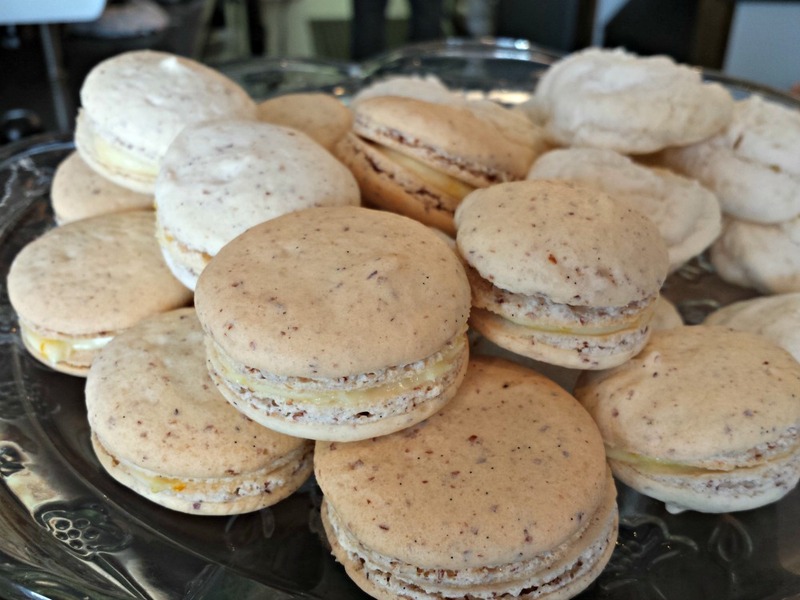 Andy was previously a chef at Vivace and decided to follow his dream of opening a food truck. Sol Tacos is committed to using local ingredients whenever possible and offers gourmet Southern tacos, served on freshly pressed tortilla shells. I tried just about everything on the menu at Sol Tacos. Luckily, I had a few friends to help me devour all of the delicious food. 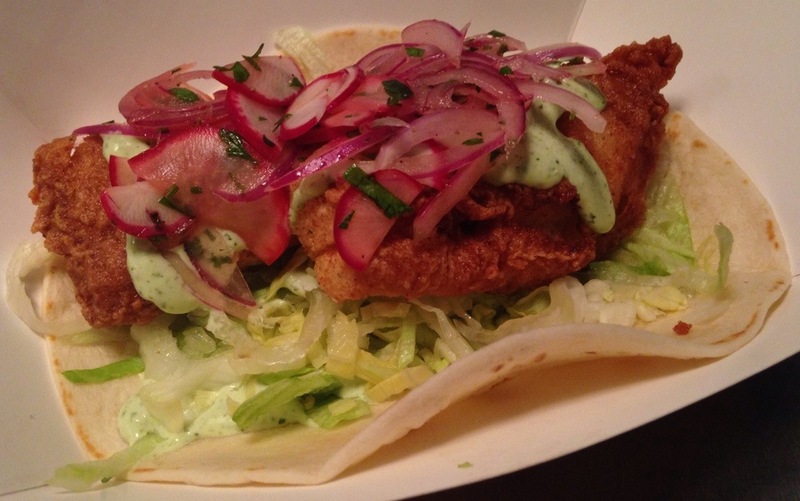 My favorite taco was the buttermilk fried flounder. The fish was crispy and topped with cilantro sour cream, lettuce and a pickled radish salad. 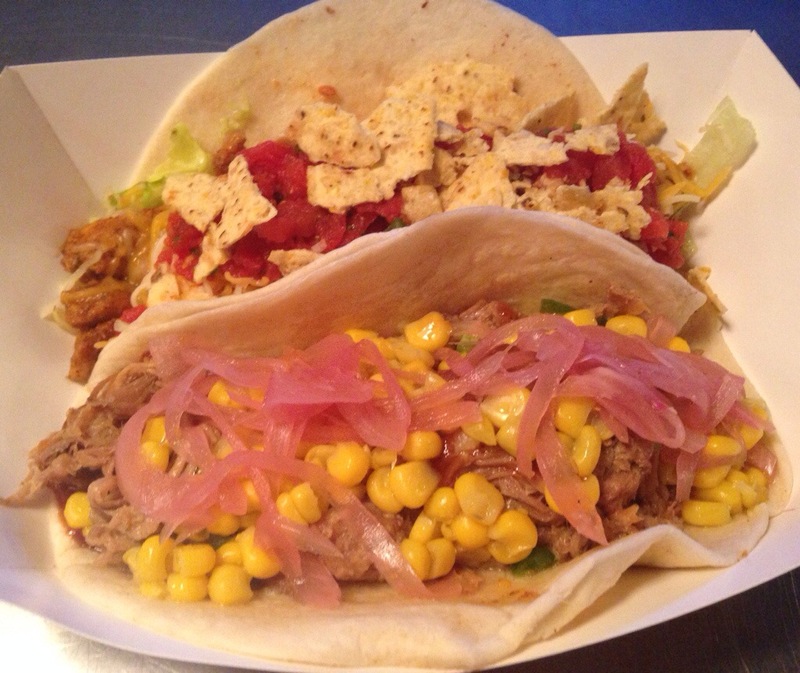 I also enjoyed the chicken “nachos” taco and the beer braised pulled pork taco. Depending on what brewery Sol Tacos is visiting, Chef Anthony will braise the pork in that particular brewery’s beer. Both options were full of flavor and my friends and I were arguing over who would get the last bite! Next time you’re looking for something fun to do in Greater Raleigh, pay a visit to a local brewery and scope out a new food truck. Your taste buds will thank you! Draft Line Brewing is one of Greater Raleigh’s newest craft N.C. breweries, opening in Fuquay-Varina this June. Draft Line Brewing was founded by Scott Palmieri and Scott Wood, who both share a passion for great beer. They started as homebrewers several years ago, brewing five-gallon increments in Scott Palmieri’s home kitchen. 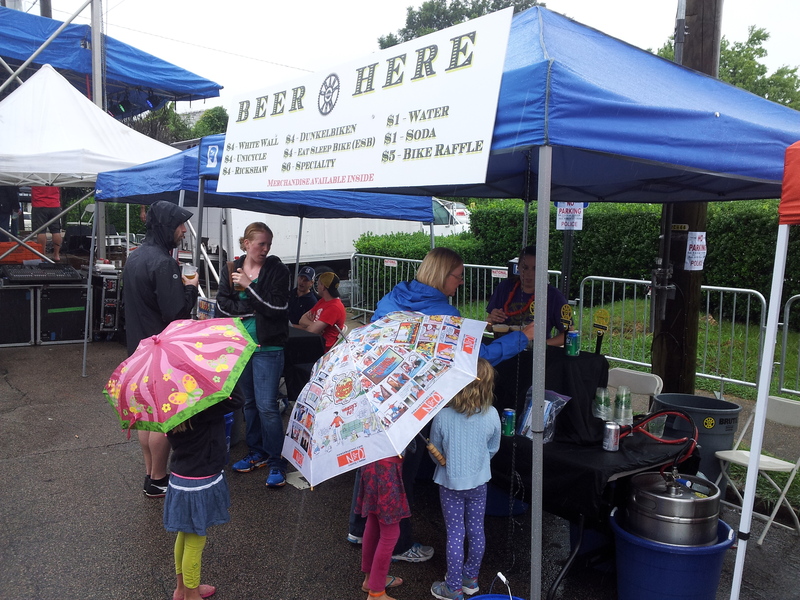 Their beer became quite the hit and soon morphed into a microbrewery. During my trip to Draft Line Brewing, I sampled four of its N.C. beers. The IPA was my favorite, with a lot of dry hopping and clean flavor. If you like hoppy beers, Draft Line Brewing’s IPA is definitely the right beer for you. I also enjoyed the Scottish Strong Ale, which is a full-bodied beer with a great malty flavor. I am looking forward to trying other beers from Draft Line Brewing, too. For instance, the British Porter is sure to be one of my go-to beers year-round. This robust porter will have hints of chocolate and nut flavors, which I imagine will also pair nicely with desserts! With help from the Raleigh Times Bar and the distributors of Avion Tequila, Big Boss Brewing Company initiated an 11-month process of acquiring tequila barrels from Olmeca Altos Distillery in Jalisco, Mexico, to create a limited-edition brew called Muerto Viviente. This special brew further adds to the brewery’s “Strange Cargo” series. The collaborative beer all started as a “what if.” No stranger to barrel-aging, Big Boss Brewing Company is always on the lookout for what’s next in the barrel-aging trend. A conversation over lunch sparked the eight-month acquisition and three-month aging process. 11 months in all, Muerto Viviente was born. 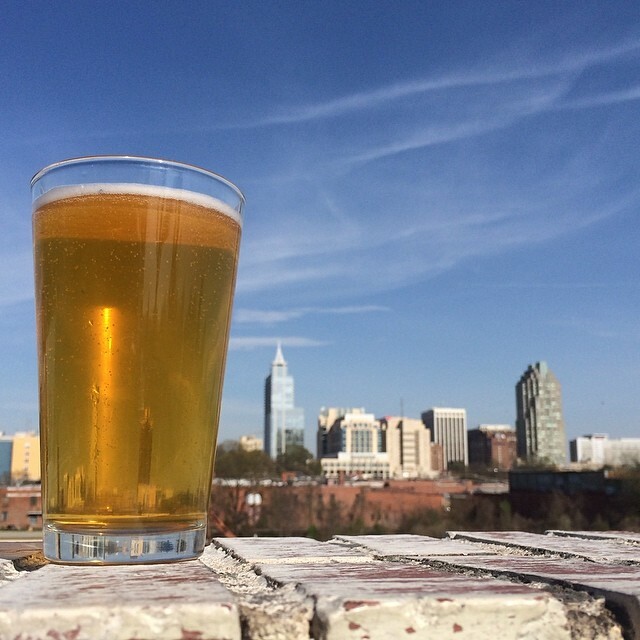 Celebrate with Big Boss Brewing Company as this specialty ale is released to the masses in a pre-Cinco De Mayo party on First Friday at the Raleigh Times Bar. I couldn’t think of a better way to end N.C. Beer Month. The party begins on May 2 at 6pm, featuring the new beer, live music and more. Representatives from Avion Tequila and Olmeca Altos will be providing samples to event-goers as well for quite the spirited night.